Vita Compact Vertical is available from stock in RAL 9016. The colours shown are reproduced as accurately as this process will allow and can be made to order on the identified products. The Vita Compact Vertical is available in white (RAL 9016) as standard. This is a compact vertical radiator for where space is at a premium, with a compact price to match. But the Vita Compact Vertical offers a smart, stylish look with excellent performance. 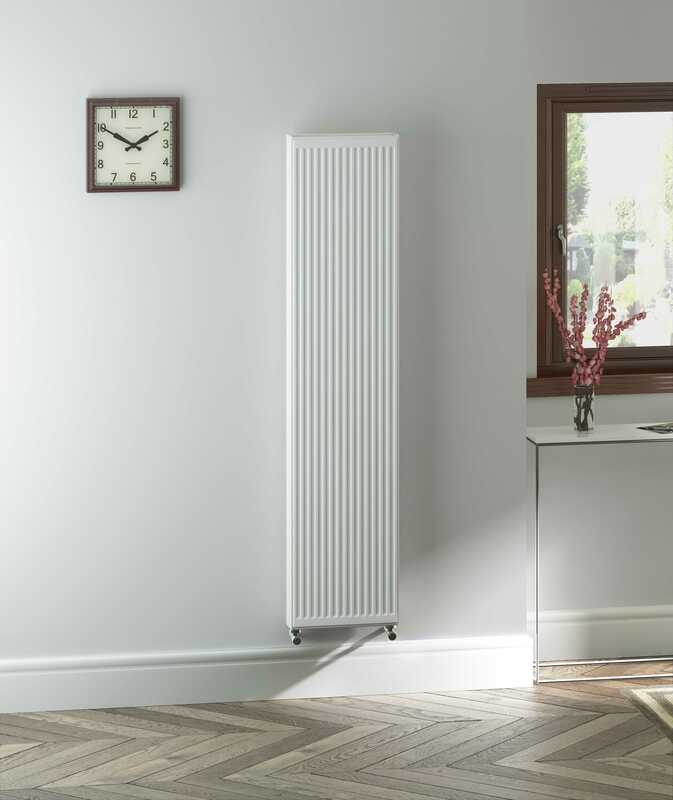 Available in three models – all 1800mm high but in a choice of 400mm, 500mm and 600mm widths, the Vita Compact vertical ensures there’s a radiator for any of those smaller spaces around the home or office that cry out for a quality addition. A 10 year warranty confirms that this is a quality radiator offering performance to be proud of – from 1,584 to 2,376 watts (5,405 to 8,107 Btu/hr) to be exact. Easy to install and maintenance free, this is a typical quality Stelrad product. Click here to watch how to install the Vita Compact Vertical. A stylish compact radiator, with a compact price to match.